Microsoft has been calling all Unity developers to make their games available on the Windows Phone Store and with over 1000 Unity games available… I think its working. Check out one of the latest to hit the store, ‘Bull Runner’. 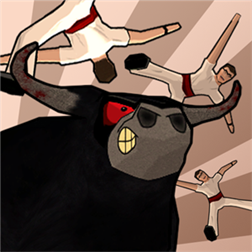 Feel the wrath of Bull Dozer in this ‘hit and run’ game from the streets of Spain and charge into as many runners as possible!! When Dozer is around you better run!